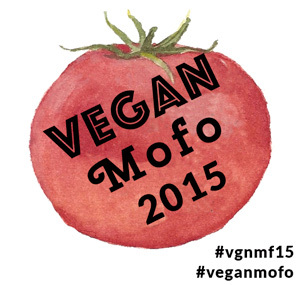 Vegan food, cemetery fun, cats and zines! These are the things that keep me going! 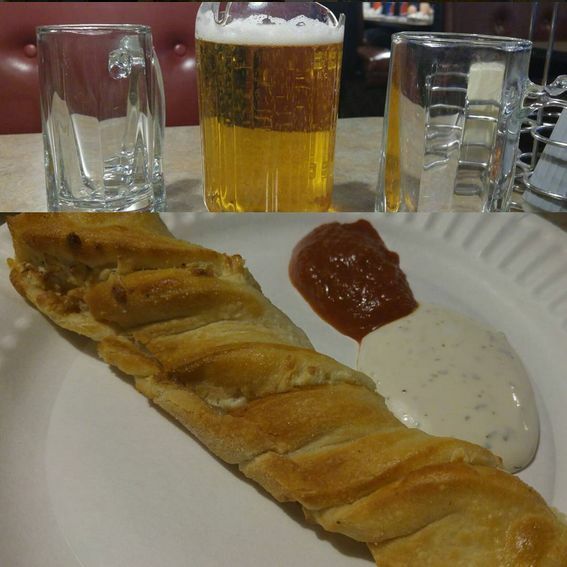 Recently the boyfriend and I decided to check out Pizza Bell in Elk Grove, CA. We were a bit hesitant at first - mostly because we are pizza snobs. After the first time we were hooked and went back for more pizza love. 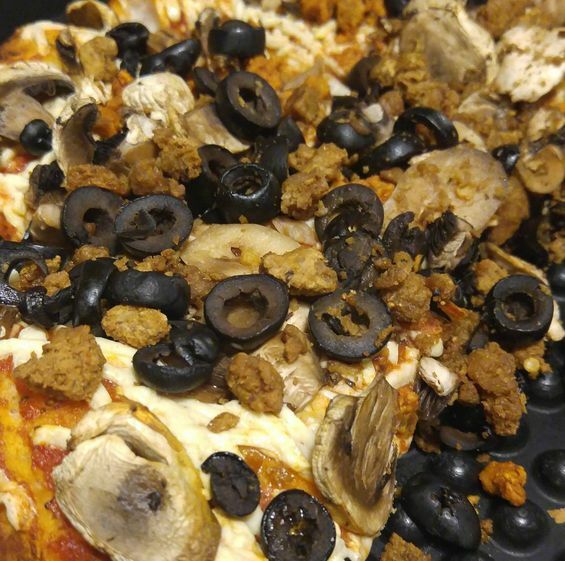 Pictured: combo pizza with Daiya, Beyond Meat, olives and mushrooms. When you walk into Pizza Bell you get that old timey pizza joint feeling, large TVs, arcade games and comfy sit awhile booths. You order up at the counter - there is a special vegan menu - look for that. The options are really good, no soggy crusts topped with wilting veggies here. They offer Daiya cheeze, Beyond Meat styled two ways: Italian sausage or pepperoni, loads of veggies, ranch dressing and different sauces. You can get pizza off the menu or come up with your own by picking from various toppings. Crusts selection is up to you as well from thin to thick - we went with thick and it has to be some of the best crust ever! The calzones are insanely huge. We ordered them for lunch and could not eat dinner later on. They are stuffed with anything you want and the crust is buttery and delicious. Mine was filled with veggies and the boyfriend got a combo one. Garlic twists - ohhhhhhh how I dream of them since my first bite. Stuffed with Daiya and served with vegan ranch and pizza sauce these are like a meal on their own. So buttery and gooey! I am a crust person and these are top notch. Get them with a mini pitcher of beer! Pizza Bell also offers 3 vegan desserts. We had the apple twists but sadly no juice left in our phones for photos. They are so good, it is like a cinnamon roll + apple pie in one. Slathered with creamy glazed sweetness! Everything about Pizza Bell tastes fresh. The dough to the toppings do not taste like they have been sitting around. They have a separate vegan section so there is no cross contamination issues - score! So many choices that you do not feel like you are missing out. 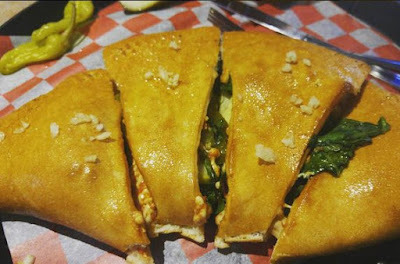 This makes Pizza Bell a vegan pizza lovers destination! Pizza Bell is located at : 8591 Elk Grove Blvd, Elk Grove, CA 95624 - right across from one of my favorite little cemetery haunts. Eat pizza and go for a cemetery stroll. What a great find! The sweet and savoury twists both sound amazing as well as the pizza.